I’M Hotel has received a prestigious nomination for Best Urban Hotel in 2018 by Asia Spa awards, a regional platform that credits properties that push the envelope and evolve this increasingly sophisticated industry. It is also known for its uncompromised independence, transparency and objectivity. We are the only hotel in the Philippines to be nominated in this category. I’M Hotel is a property of many firsts — It is the first 5 star hotel in the Poblacion district of Makati and houses the first Onsen Spa in the Philippines, also the largest urban spa property in the country. 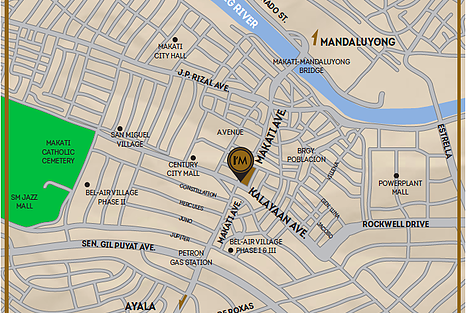 It is exceptionally located with close proximity to malls and a mere 800m away from the Makati CBD. Spanning an expansive 3800 sqm over 6 storeys, I’M Onsen Spa is the largest state-of-the-art spa in the Philippines featuring a unique carbonated bath with technology imported from Japan. Guests can choose to avail their treatments in a wide variety of rooms, from communal beds to couple rooms with ensuite jacuzzis or steam rooms, or executive and VIP rooms. It also features relaxation lounges and a buffet at the newest food playground, The Common Good. Prices are all-inclusive and come with access to all the above. All stays come with free access to the spa’s facilities. Designed by renowned Singapore-based architect, the property is a picture of sophistication and elegance. The hotel features 434 rooms, including 182 suites equipped with an Electrolux-fitted kitchenette, living room, and dining area. Artworks have been supplied by the resident artists – Ms Bai Tian Yuan, Raphael Gallegos and Dee Jae Pa’este, and have been exclusively created to suit the theme of the hotel. Ms Bai is trained in Fine Arts and Interior Design, and is a recipient of the highly prestigious UOB Painting of the Year Award. Swimming is an elevated and sensorial experience at I’M Hotel. The infinity pool is an iconic element of the property. It can be seen upon entering the lobby as one looks up because it is acrylic-bottomed, hence serving as an interactive medium between guests who are swimming and guests who are just about to enter the building. Lounging Beds are positioned at an elevated platform above the pool serving as a fantastic vantage point for sunbathing and people-watching. I’M Hotel has an array of dining options. The Common Good Food Playground is an upmarket food hall concept which features nine (9) different dining outlets offering the best of various international cuisines. 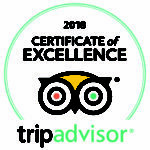 Its dining concepts include Parilla (Barbeque & Grill section), Al Dente (Italian), Paul & Ranuka (Healthy Instagramable Eats), Empress Jade (Modern Chinese Cuisine), Perfect Four, One Bowl Wonder (Japanese Donburi and Hong Kong Roast Meats), Tiffin (Indian), Fountain (Seasonal Healthy Drinks), and Sucre (Dessert Station), all offering sumptuous food options at no more than Php 400 on a la carte basis. Buffet option is also available for breakfast and dinner. On the rooftop, Antidote bar features bespoke cocktails and tapas. The highlight of the bar is a luminescent jellyfish tank, where diners can enjoy the ambient glow of these elegant creatures in the backdrop of the stunning cityscape. 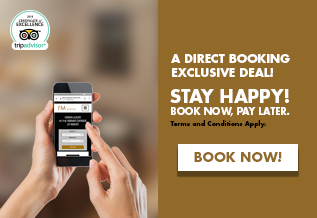 Guests who book direct will be accorded immediate access to the Club Lounge. Fashioned as a gentleman’s library, the lounge is an inspiring space to conduct meetings, or simply indulge in a round of complimentary pastries and beverages.